Dr. G.N. 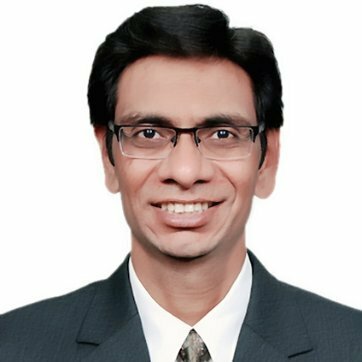 Patel is a Professor in Decision Science and heads the area of ‘Operations and Decision Sciences’ of Birla Institute of Management Technology, Greater Noida (U.P. ), India. He has 30 years of teaching and research experience. He is a PhD from Sambalpur University in Operations Research and has done his M.Phil from Indian School of Mines, Dhanbad in Applied Mathematics. He is also an alumni from IIM, Ahmedabad. His interest lies in Mathematical Programming, Efficiency Measurement. 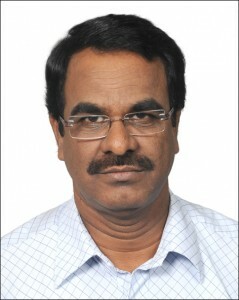 He has more than 115 papers published in both National and International journals of repute. He has successfully guided eleven scholars for their Ph.D in Management, Science (Mathematics, Statistics) and 8 are pursuing presently. He is a regular paper presenter of International Conference of Data Envelopment Analysis. Sreenivasa S Sharma Nittala A seasoned IT professional with over 22 years of rich & diverse experience across IT Consulting, Enterprise IT Architecting, Product Strategy Formulation, Solution Designing, Pre-sales, Practice Management, Project Management & Software Development. Proven abilities in managing stakeholder interests, effective trade-off analysis, enabling & guiding strategic IT decisions, designing the IT architecture and steering the implementation of end-to-end IT solutions aligned with the business objectives. Highly experienced in managing & delivering IT consulting engagements including hands-on due diligence exercises, IT architecture assessments and technology / product / application portfolio evaluation. Rich experience in leading IT Architecture design and IT Roadmap definition initiatives in key domains/ verticals including strategies to adopt contemporary paradigms like Cloud Computing, Big Data, mobility, etc. Proficient in leading the development of: - Multiple components/”views” of the Enterprise IT Architecture - "Application Architecture", “Integration Architecture”, "Information Architecture”, "Infrastructure Architecture" & other critical aspects viz. Performance, Reliability, Availability, Disaster Recovery, Business Continuity Planning, etc. - Formal architectural specifications in compliance with standard frameworks (IEEE-1471, RM-ODP, TOGAF). - New Practices which entail building core competencies, enhancing intellectual assets, adopting new frameworks & methodologies, and focusing on people development initiatives. Dexterity in conducting techno-commercial analysis, risk analysis, review of solution & bids, etc. An effective communicator with honed leadership, coordination, analytical and planning skills. Dr. Sangeeta Shah Bharadwaj has M.Sc (Hons) Mathematics and Master of Management Studies from Birla Institute of Technology and Science, Pilani. She also has M.E. (Systems and Information) and Ph.D.(Management) from BITS, Pilani. Dr Sangeeta started her career at BITS, Pilani and was Group Leader, Management Group, BITS, Pilani. Dr Sangeeta has rich industry experience. 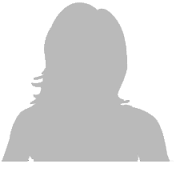 She has worked as software engineer in a finance and insurance sector company. She has successfully run an entrepreneurial venture for four years. Dr Sangeeta has more than 20 years of teaching, research and Industry experience. She has held positions of Area Chairperson, Information Management Area, Web-in-charge, Chairperson Alumni and Co-ordination Admissions. Currently she is Chairperson Admissions.